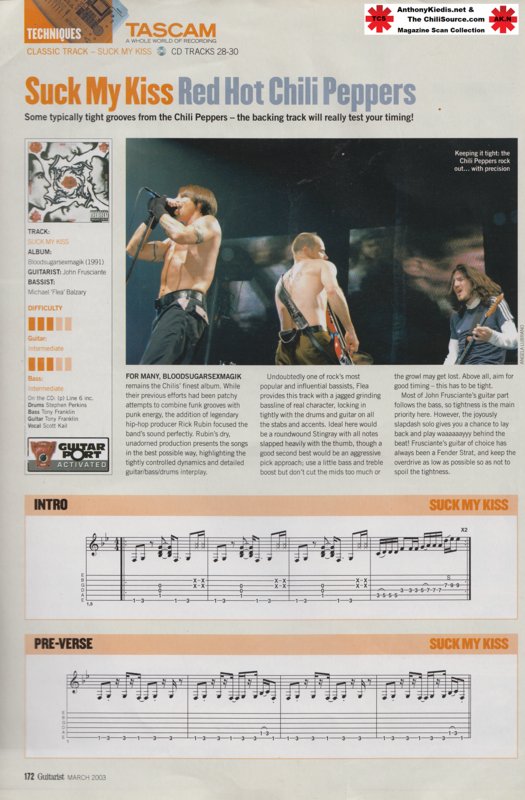 (I do have this magazine but I won’t put scans of the whole song tab online for copyright reasons). 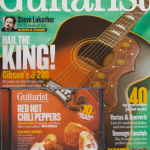 The Red Hot Peppers have enjoyed a long and varied career, and with the release of their two most recent albums, Califomication and By The Way, the band have firmly established themselves as credible and talented chart successes. 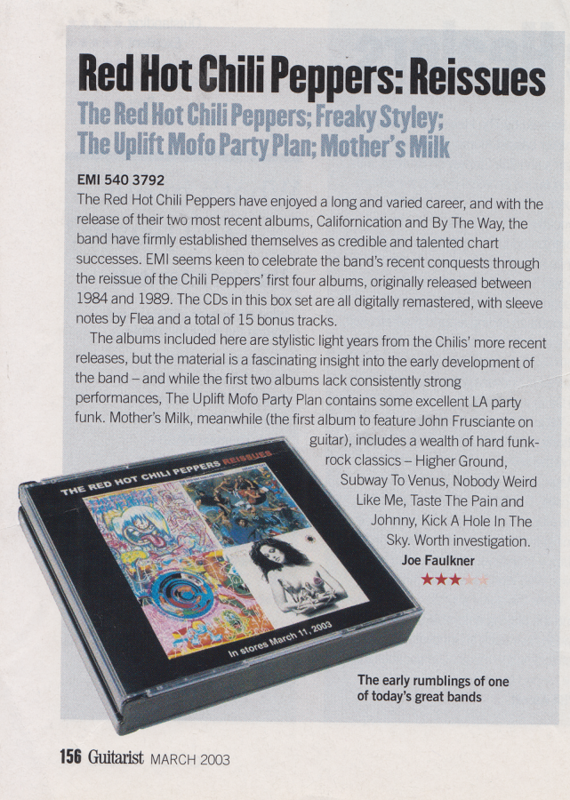 EMI seems keen to celebrate the band’s recent conquests through the reissue of the Chili Peppers’ first four albums, originally released between 1984 and 1989. 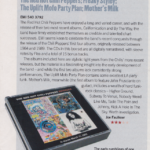 The CDs in this box set are all digitally remastered, with sleeve notes by Flea and a total of 15 bonus tracks. Some typically tight grooves from the Chili Peppers — the backing track will really test your timing! 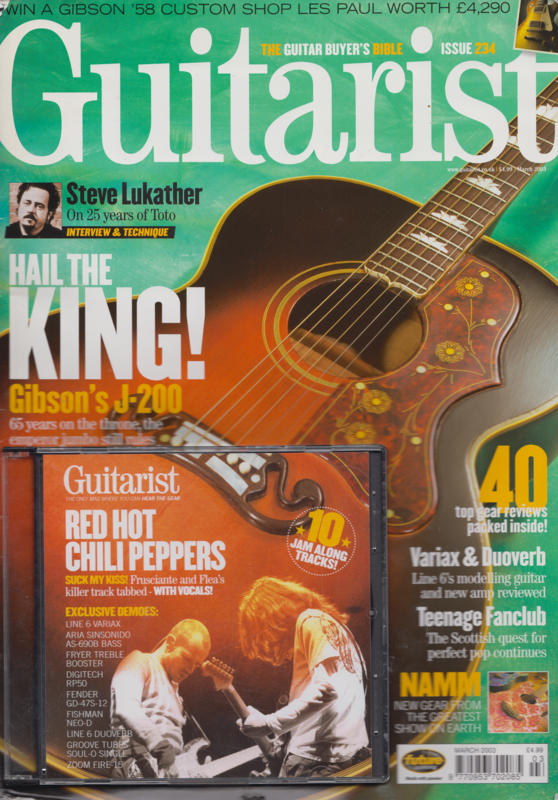 FOR MANY, BLOODSUGARSEXMAGIK remains the Chilis’ finest album. While their previous efforts had been patchy attempts to combine funk grooves with punk energy, the addition of legendary hip-hop producer Rick Rubin focused the band’s sound perfectly. Rubin’s dry, unadorned production presents the songs in the best possible way, highlighting the tightly controlled dynamics and detailed guitar/bass/drums interplay. Undoubtedly one of rock’s most popular and influential bassists, Flea provides this track with a jagged grinding bassline of real character, locking in tightly with the drums and guitar on all the stabs and accents. Ideal here would be a roundwound Stingray with all notes slapped heavily with the thumb, though a good second best would be an aggressive pick approach; use a little bass and treble boost but don’t cut the mids too much or the growl may get lost. Above all, aim for good timing—this has to be tight. 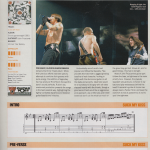 Most of John Frusciante’s guitar part follows the bass, so tightness is the main priority here. However, the joyously slapdash solo gives you a chance to lay back and play waaaaaayyy behind the beat! Frusciante’s guitar of choice has always been a Fender Strat, and keep the overdrive as low as possible so as not to spoil the tightness.